We sell many components for Bathroom Stalls, and we are often asked the same questions. So, we have put together a Bathroom Stall Door User Guide. We will cover materials, hardware, and constructions methods. We find six major materials used for Bathroom Stall Doors. The first and most popular is Powder Coated Steel, but we also see Plastic Laminate, Solid Polymer Plastic, Stainless Steel, Solid Phenolic Color Thru, and Solid Phenolic Black Core. 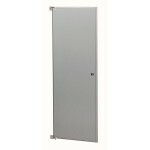 Powder Coated Steel Bathroom Stall Doors are very economical. They are constructed with an inner honeycomb core bonded to the 22 gauge steel with a non-toxic adhesive. This ensures solid construction and great sound attenuation. The honeycomb is a cellular material that is firm for support and light, so the doors weight less, but have great strength. The door is then assembled with a continuous roll-formed interlocking crown molding on the edges, the corners are then welded and ground smooth. 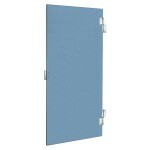 A Powder Coated Bathroom Stall Door is usually 1″ thick and 58″ high. They ship for openings 20, 22, 24, 26, 28, 30, 32, 34, and 36″ width. If you are ordering a Powder Coated Bathroom Stall Door you need to know that the door will come 3/8″ narrower than the opening. So a 34″ door will actually be 33-5/8″ wide. Plastic Laminate Bathroom Stall Doors are at the next price point. Plastic Laminate Doors use a particle board core that has a 45 pound density that is 7/8″ thick to resist warping and ensure a smooth surface. The particle board is then covered in a Wilsonart, or Formica type surface. Most factories insure the door face covers the edges to ensure water runoff and resist vandalism. One draw back on the Plastic Laminate material is moisture. We do not recommend this product for high moisture areas or closer to showers or swimming pools. A Powder Coated Bathroom Stall Door is 1″ thick and 58″ high. They ship for openings 22, 24, 26, 28, 30, 32, 34, and 36″ width. If you are ordering a Plastic Laminate Bathroom Stall Door you need to know that the door will come 3/8″ narrower than the opening. So a 34″ door will actually be 33-5/8″ wide. Solid Polymer Plastic Bathroom Stall Doors, are also known as Solid Plastic, or High Density Polyethylene (HDPE). Solid Polymer Stall Doors are a great choice for high-traffic, and high-humidity areas, along with corrosive environments. They are never need painting and will not easily dent, rust or delaminate. They have a textured finish to hide the effects of vandalism, it is the low maintenance material of choice as minor scratches can often be repaired. The High Density Polyethylene (HDPE) Doors are virtually impenetrable by water, odor, mildew and soap and most commercial cleaning agents will not damage the surface. 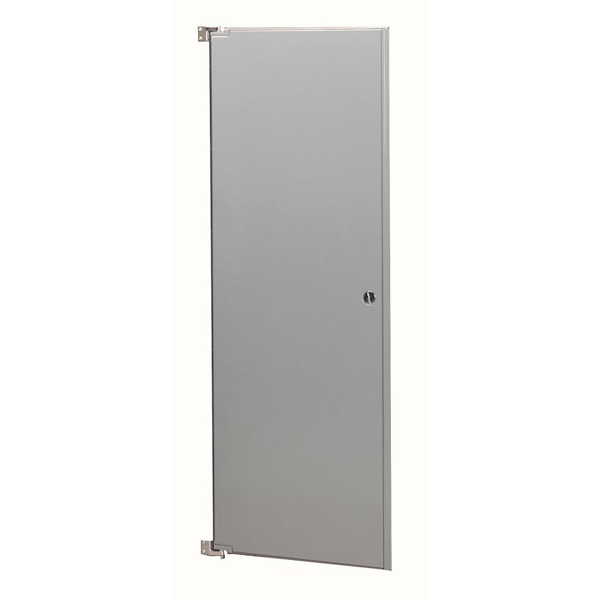 A Solid Polymer Plastic Bathroom Stall Door is 1″ thick and are 58″ high. They ship for openings 20, 22, 24, 26, 28, 30, 32, 34, and 36″ width. If you are ordering a Plastic Polymer Bathroom Stall Door you need to know that the door will come 3/8″ narrower than the opening. So a 34″ door will actually be 33-5/8″ wide. Stainless Steel Bathroom Stall Doors are probably the most expensive. They are constructed with an inner honeycomb core bonded to the type 304 stainless steel with a non-toxic adhesive. This ensures solid construction and great sound attenuation. The honeycomb is a cellular material that is firm for support and light, so the doors weight less, but have great strength. The door is then assembled with a continuous roll-formed stainless Steel 22 gauge crown molding on the edges, the corners are then welded and ground smooth. A Stainless Steel Bathroom Stall Door is usually 1″ thick and 58″ high. They ship for openings 20, 22, 24, 26, 28, 30, 32, 34, and 36″ width. 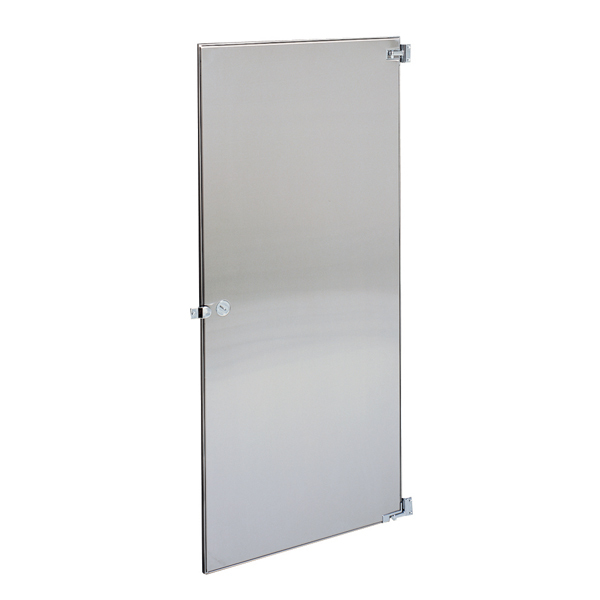 If you are ordering a Stainless Steel Bathroom Stall Door you need to know that the door will come 3/8″ narrower than the opening. So a 34″ door will actually be 33-5/8″ wide. Phenolic Bathroom Stall Doors more expensive than Powder Coated Steel, Plastic Laminate and Solid Plastic, but less expensive than Stainless Steel. Phenolic Bathroom Stall Doors can have a solid color core, meaning it matches the surface color, or they can have a black core. They are fabricated by using layers of resin-impregnated kraft paper. The surface and core sheets are then fused at high temperature and pressure to make the door. The components shipping with this material are usually stronger stainless steel brackets and fasteners, to stand up to the most extreme conditions of moisture and humidity. Phenolic is impact, water and corrosion resistant, and does not support bacteria. They are a great choice where durability and strength are required. A Phenolic Bathroom Stall Door is usually 1″ thick and 58″ high. They ship for openings 20, 22, 24, 26, 28, 30, 32, 34, and 36″ width. If you are ordering a Phenolic Bathroom Stall Door you need to know that the door will come 3/8″ narrower than the opening. So a 34″ door will actually be 33-5/8″ wide. The Bathroom Stall hardware used on the different materials will also be different. The edges on the powder coated steel and stainless steel doors, panels and pilasters is almost always a round edge. The plastic laminate, solid plastic and phenolic is going to be square edged. You need to keep this in mind when ordering replacement parts, especially when it comes to the hinges, keepers, and stops. The hinges on the stainless steel and powder coated steel are usually wrap around hinges, the hinges on the phenolic doors are the vault hinges.